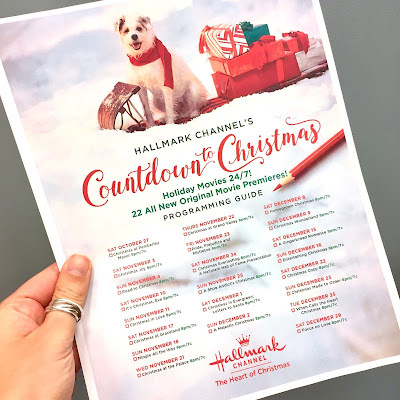 Being the Hallmark-movie junkie that I am, I was patiently waiting for the list of the new Christmas movies Hallmark has lined up for us in this year's rendition of their Countdown to Christmas. I look forward to this time every year and actually print out the list and check off the movies as I watch them. I seriously can't get enough Christmas movies! Watching these movies has become part of my end-of-year traditions and it's one of the best ones. I get to cozy up on the couch with my loved ones and a hot beverage and ease into the cocooning winter phase. Nothing is as heart-warming as a cheesy Hallmark movie. They just get me into the spirit of Christmas and that's what I love about them! My fiancé doesn't love them because he finds them too predictable. He tends to guess the plot of the movie within the first five minutes and usually gets it right. I keep telling him he should go work for Hallmark! Another sweet brooch to add to my collection! I absolutely fell in love with this rose one because it reminds me of Beauty and the Beast. 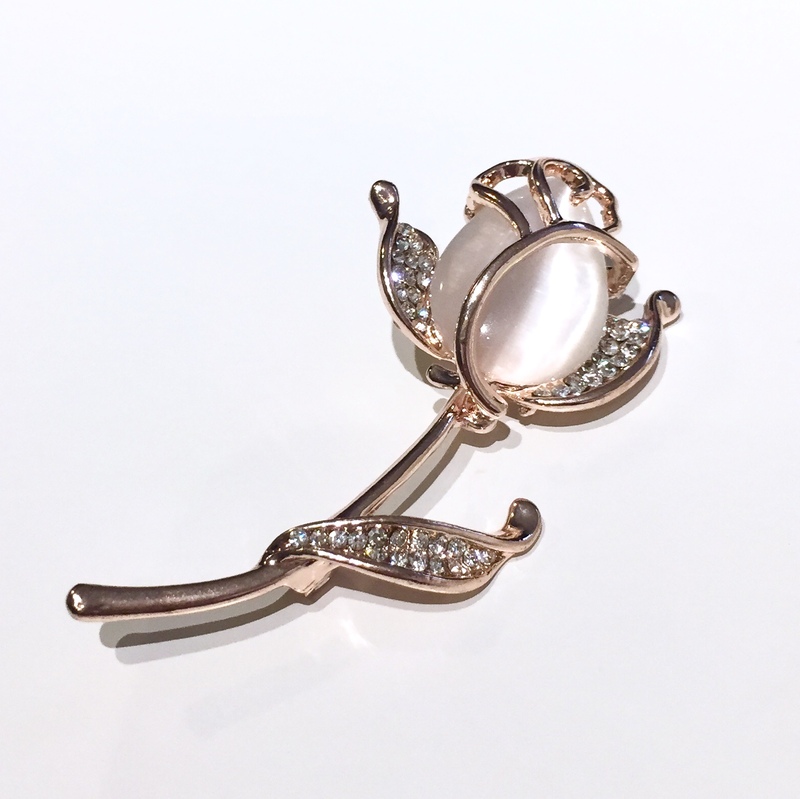 The brooch itself is absolutely stunning and is sure to add class and sophistication to any look I add it to. 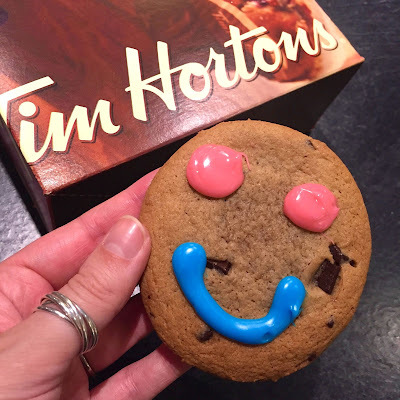 It's slightly rose gold and the inside stone has a subtle blush hue. I'm sure I'll get plenty of wear out of this one! Since this spring/summer, I've discovered a love for round bags. It's such a fun and fresh shape for a purse! Surprisingly, the few bags I have already are quite roomy. It's amazing what I manage to fit inside them! 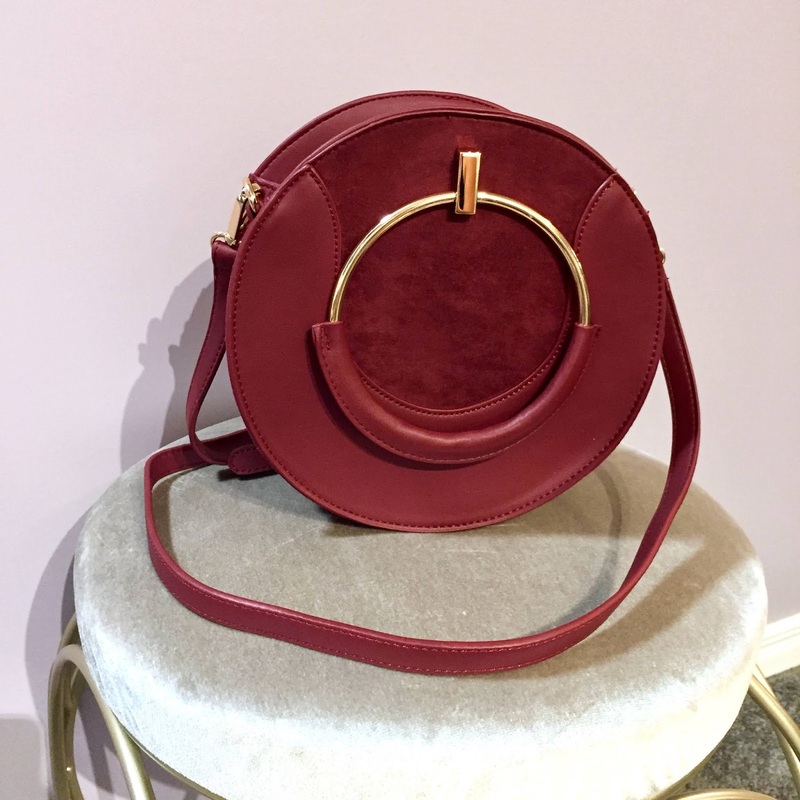 Naturally, when I spotted this burgundy beauty with gold hoop handles and dual materials, I simply had to get my hands on it! The shape and style remind me of Meghan Markle's Chloe bag carried to church last Christmas. I cannot wait to wear it with everything and anything this fall! It's literally the perfect fall colour to go with any look. Confession: I have this sweater in grey... 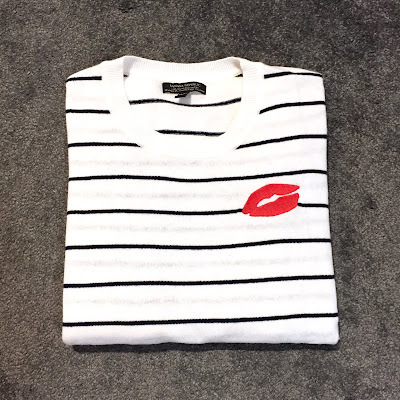 I got it on clearance last spring because I couldn't get over how cute the lip-print on it was. Well, when Banana brought it back in a striped version this fall, I practically fell off my chair! My love for stripes runs deep and the combination of the stripes with the lip-print was giving me all kinds of feels! I waited for a sale and snagged it! The sweaters are technically different except for the lip embroidery. So the way I see it, they are completely different sweaters, although there is nothing wrong with having the same sweater in different colours. I'm actually all for that! If you find a piece you love, stock up!